Select participants from the campuses of the university participated in said seminar-workshop held at Hotel Carmelita on October 1-3, 2017. Dr. Maria Helen F. Dayo from University of the Philippines (UP) Los BaÃ±os was the Resource Speaker during the said activity. 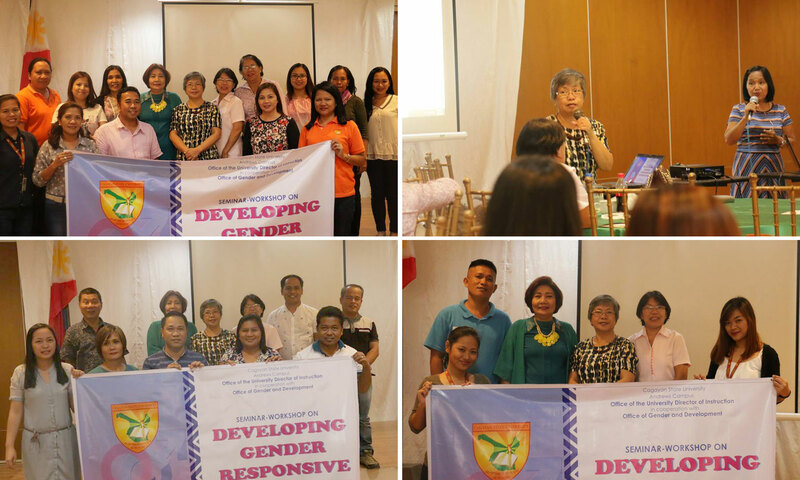 Dayo is a member of the Philippine Commission on Women, GAD Resource Pool and a Technical Panel Member on Gender and Women's Studies of the Commission on Higher Education.